IT'S MOPED SEASON AGAIN!!! That's right. I am sure it is different depending on where you are, but in New England it has been warm (enough) and sunny to break-out my Honda Express Moped and do some real riding. Any moped enthusiast can tell you the first step for a new season is honda nc50 maintenance. Time to check the tire pressure and moped oil, check the transmission gear oil, check the moped/motorcycle battery, check your fuel, and so on. Well after checking my honda scooter battery, I noticed the levels were down. Click HERE to purchase battery. 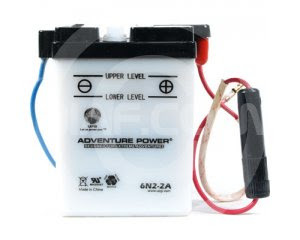 If you maintain the battery, like storing indoors over winter or using trickle charge... should last few years. Please feel free to post if you have or know of a better price for these batteries.